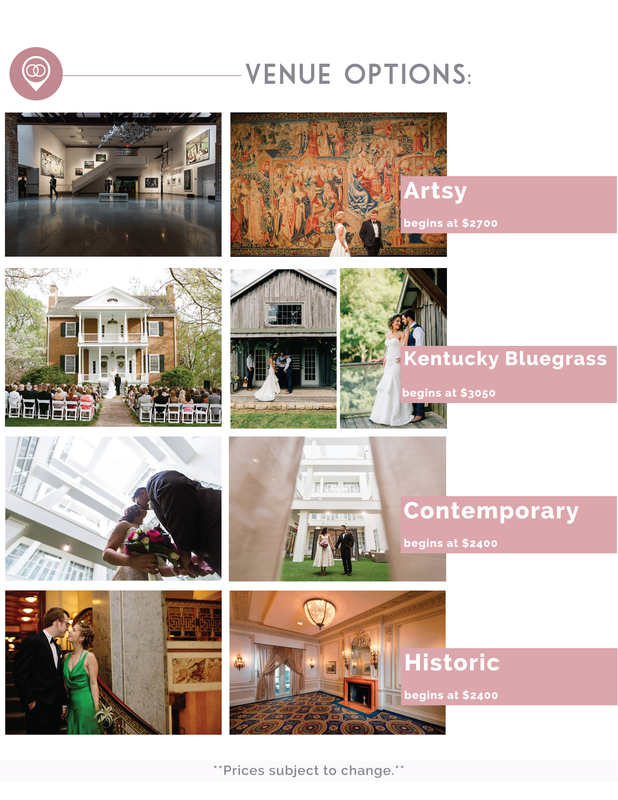 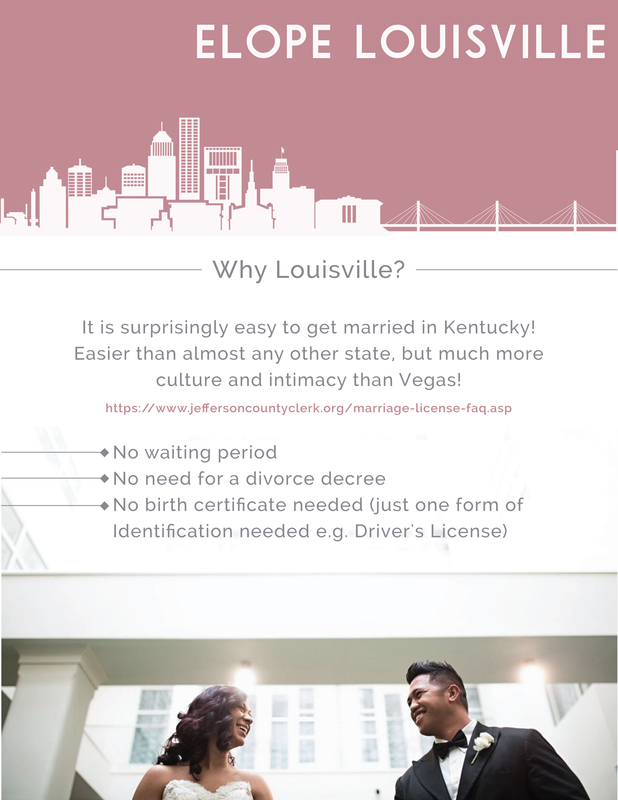 Elope Louisville: After getting many elopement and pop-up wedding requests and planning a very fun and last minute destination elopement to Louisville, we decided to take the guesswork out of eloping in Louisville, Kentucky. 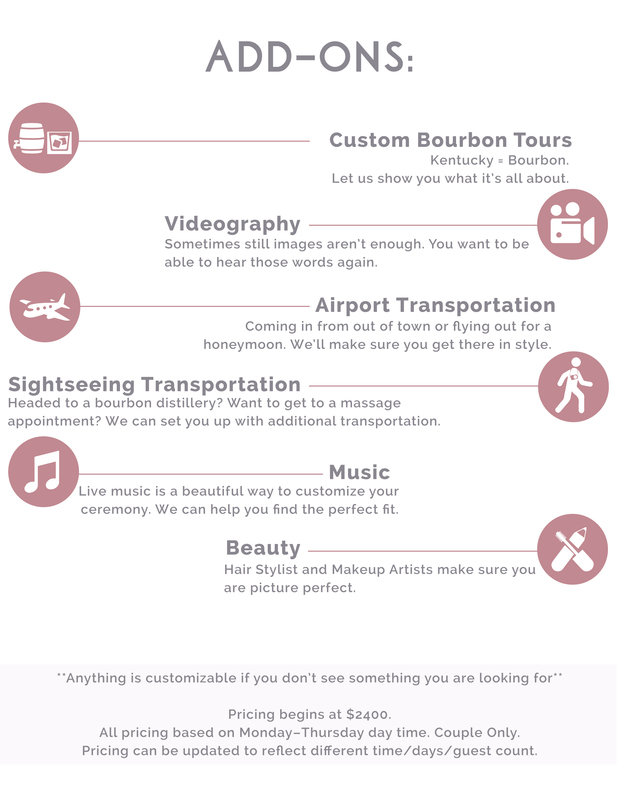 We have curated packages to assist all Couples in having a stress-free experience. 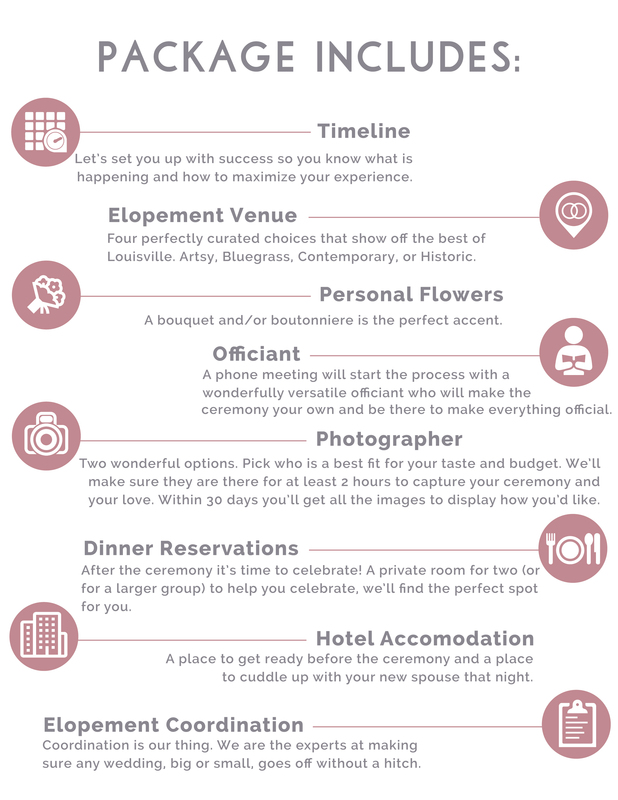 Planning in a year or a week, a secret or inviting a small number of VIPs, we want to make it happen so that you can focus on what is really important…getting married.